​Unfortunately, many people we know have been directly impacted by the opiate epidemic happening in our state. Statistics show that addiction can happen to anyone regardless of age, race, or economic background. 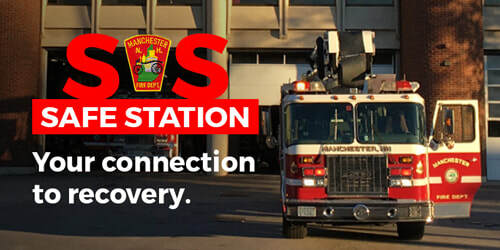 The Manchester Fire Department created “Safe Station” to offer those suffering with addiction the first step in getting help. Serenity Place provides counseling, and finding recovery placement for those seeking help. Over 2,400 people from our community and surrounding towns, have come through the program since it started in May of 2016. We are planning a “Bags for Serenity” charity event to help stock this program with some much needed items. We are asking for gently used or new hand bags, back packs, or tote bags filled with toiletries such as: toothpaste, tooth brush, hair brushes, soap, sanitary products, deodorant, etc. A personalized or inspirational note would also make a great addition to the bag. Windham Junction will be accepting donation “Bags for Serenity” the entire month of October during our normal business hours. Please label each bag with your name, so we can properly thank you on our Event FB page. We will personally donate one new pair of gift shop socks for each and every bag we receive.